Maker education presents a transformational approach to teaching and learning that attends to the real and relevant needs of learners and humans. It is an approach that positions student interest at the center, asking students to become more aware of the design of the world around them, and begin to see themselves as people who can tinker, hack and improve that design. Whether the room is outfitted with laser cutters or scissors, a makerspace or innovation lab serves as a gathering point for projects, mentors, resources, and inquiry. Designing a space to support these factors is what differentiates makerspaces from general classrooms. 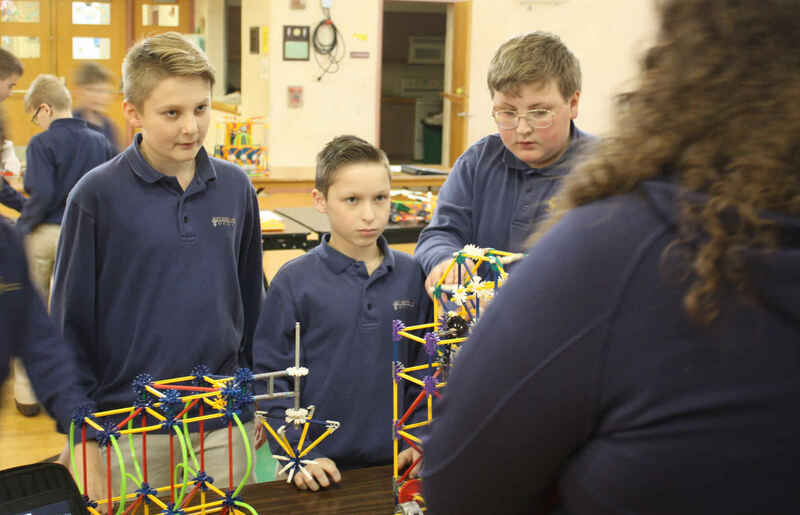 The educational exploration promoted by makerspaces, like the room itself, invites students to discover potential solutions in a self-directed way. The tools and resources are only there to facilitate student-led learning; and it is this fact that we must keep in mind when these spaces are designed. We have the foundation set for our maker space in our Digital Media Center, however, we are working to outfit the space with tools and resources that help to prompt both deeper thinking and concrete planning. Super excited to have the opportunity to support Catholic Education at St. Katharine Drexel Catholic school!